Herrenhäuser Gärten. Photo by WC. Dormero. 4* superior hotel close to the lake Maschsee. You can book it here. Holländische Kakao-Stube. Cafe with tradition going back to the 19th century, try some Baumkuchen (tree ring cake). Do some snacking and shopping in Hanover's so-called stomache, the Markthalle. Rossini. Italian restaurant with cave interiors and delicious pasta. Maschsee. Artificial lake from the 1930s. Every summer there is a fiesta called "Maschseefest" around the lake with events, food and drinks. 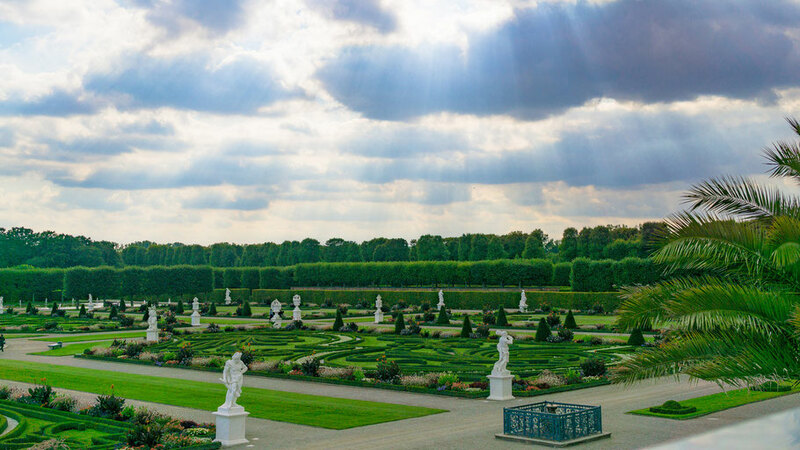 The Herrenhausen Gardens are one of the most important baroque gardens in Europe and set you back to the 17th century. Wilhelm Busch Museum. A charming museum of caricature with a unique collection of Wilhelm Busch (creator of "Max and Moritz – A Story of Seven Boyish Pranks"). Sprengel Museum. Museum of the 20th and 21st century art, right at the lake Maschsee.